If recently published industry figures are accurate, PBX sales in the UK are on the slide, where as Unified Communications has been identified as an area of growth. Cloud/Hosted systems are generating a lot of column inches in the trade press; however, we still await the first report from a reputable analyst reflecting the true size of this market. Only then will we get a true picture of what's going on in the overall telephony market in the UK - the combination of PBX, Unified Comms platform and hosted/cloud telephony sales. Which just about sums up the nature of the market - there is no, universal "one-size fits all" solution. All three have their supporters, all have their place, all will be around and continue to evolve for years to come - very much in-line with the way the comms channel itself constantly needs to change. What is certain is that the PBX, however you want to label it, is central to all three of these architectures. We're still going to need to process and switch business calls, we’re still going to need to report on telephony usage - historically and in real-time - and we're still going to need to record calls for many years to come. Telephony is rapidly turning into just another app on the IT network, albeit a business critical one, that integrates and interacts with other apps, hence the rise of Unified Communications. The basic operation, however, remains the same. It's exactly where this PBX will sit, what it's going to look like and how the customer wants to manage it moving forward that's open to debate. Cloud/Hosted, On-site or Hybrid? Virtual, Soft or Hard? In-House or Outsourced? All provide valid solutions, however, the best fit in each case will very much depend on the unique and individual needs and requirements for that particular customer. It's also of critical importance that it's not just the technical solution that's treated in this consultative manner. The method of payment is crucial as well. Upfront (CAPEX), pay monthly (OPEX) and even the ability to flex the number of licences up or down to meet periods of higher demand all help to further expand overall customer choice. Delivering the technology of choice, exactly where it's wanted it, funded in the manner that best suits the business all help to deliver the ultimate in "A La Carte" telecoms. The more boxes a reseller can "tick" with their portfolio offering, the better positioned they will be to be offer exactly what their prospective customers' are looking for in the short-to-medium term and ideally placed to cover any market change in desirability in the long term. Indeed, in the ideal world resellers should be looking to provide solutions to fit all of the models above from as few vendors as possible, ideally just one, to best ensure consistency and simplify possible pricing variables across all offerings. However, even this approach is subject to hidden frustrations and complications, as a manufacturer's broad portfolio will typically contain products resulting from acquisition and/or OEM relationships in addition to their own. This typically results in products from radically different development teams, with divergent feature sets that offer very little, if any, consistency at point-of-sale, let alone system interoperability. This can result in much confusion for either the reseller, where multiple solutions are sold through a single sales force, or the customer, where a separate sales team handles each product offering. 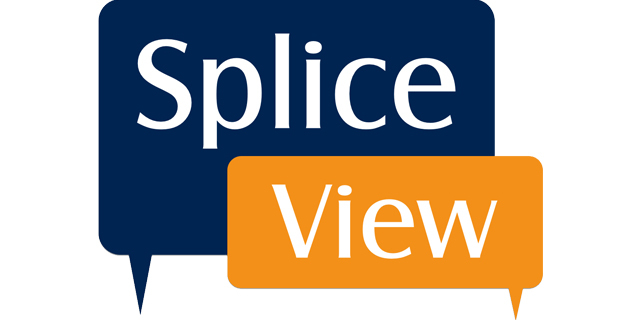 It follows that the ideal scenario is one where all offers, both technical and commercial are delivered and supported by a single vendor from the same development team - something that we at SpliceCom are ideally placed to offer. So who owns your clients' call recordings? Everyone's Got A Call Centre! Call Recordings - Are They Really Yours?